Take a loved one (be they a friend, family or your partner, this experience isn't just for lovers) away from it all. You'll spend your one-night break in a one of the coziest resorts of Lebanon, the Batroun Village Club. 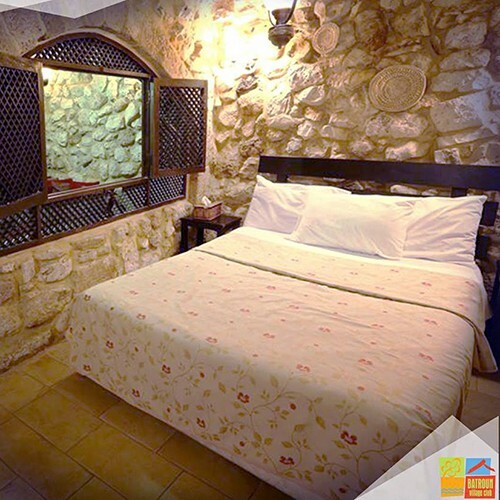 Sleep in traditional Lebanese caves that have been renovated to provide high class comfort while relaying the original atmosphere. The Cave includes a double bed, living room, kitchenette and mosaic bathroom. Facilities at the resort include an outdoors and an indoors swimming pool, fitness and health club, sauna, sports courts, restaurant and plenty of gardens for the most romantic sunset walks.